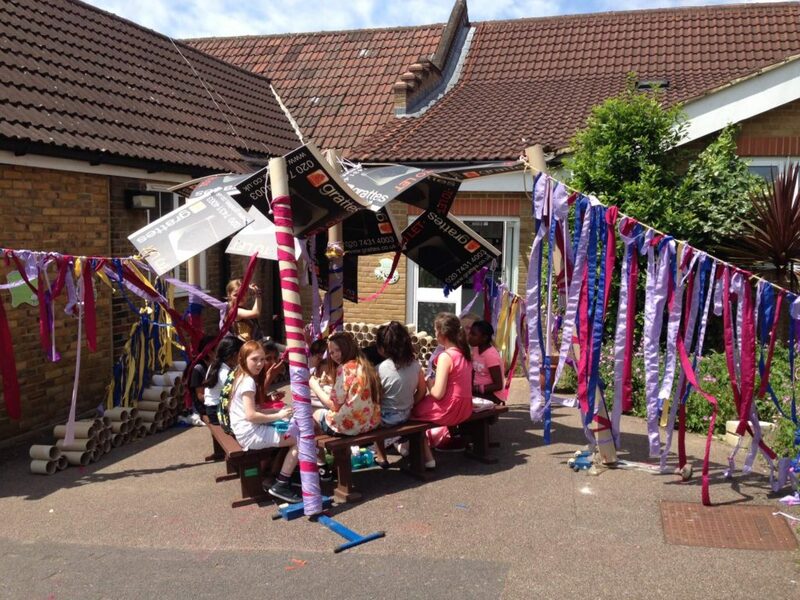 Phil runs a series of workshops with Furzedown called Architecture for Kids. They were inspired by a workshop day at the Royal Academy’s Sensing Spaces show that he attended with art teacher Michaela Truscott and her class. After seeing how well the kids responded to ideas of positive and negative space and exploring how different materials made them feel, they wanted to continue experimenting back in the classroom. They began playing with structures. 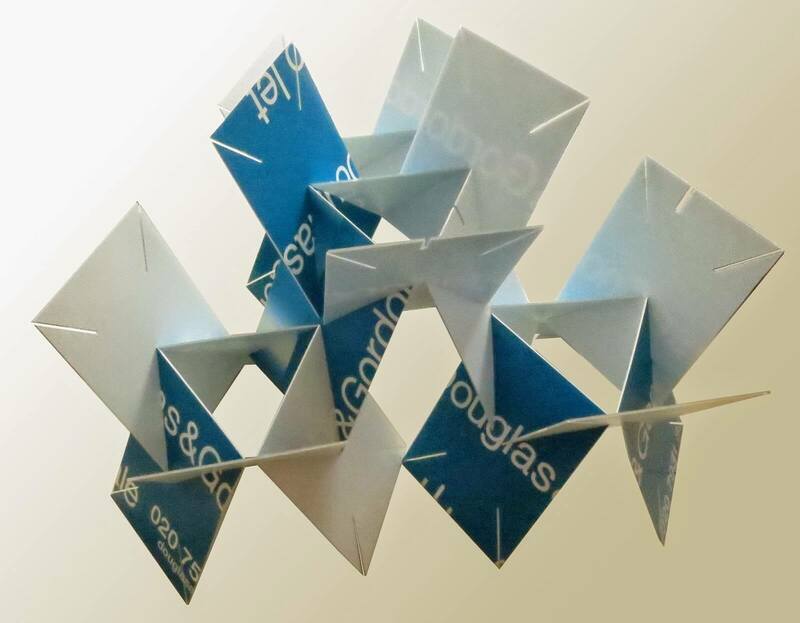 Phil writes an excellent and comprehensive blog that gives details of each of their explorations here but one that we particularly loved are their experiments with triangular structures. Using interchangeable small cardboard rectangles with slots in the corners, these were stacked and shaped to make freestanding structures. The diagonal method of their construction meant there was no easy reference to our usual x, y and z axis. It was important to Phil that everyone was thinking in an unconventional way and this was a practical way to encourage that. 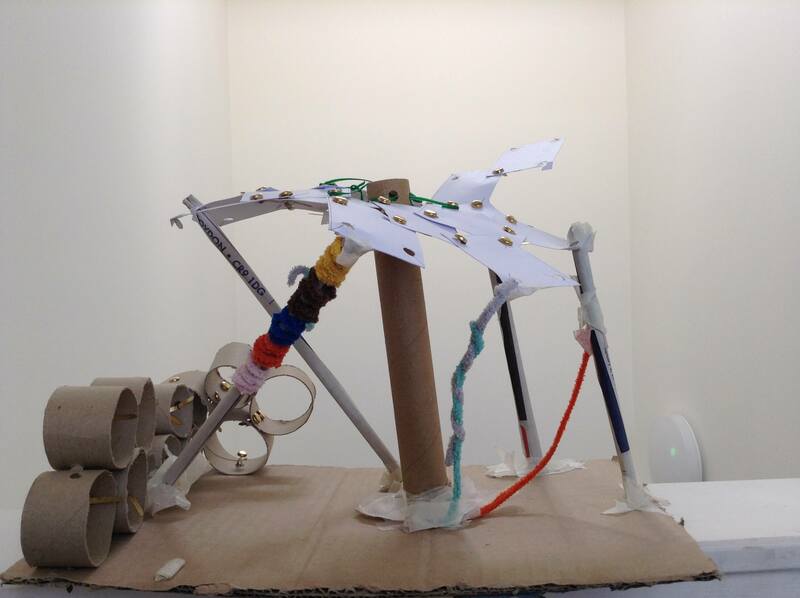 For their Pavilion project last year Phil held one workshop each week of summer term. Each workshop was 90 minutes and chronologically explored concepts of structure, architectural drawing, design, prototyping and then making. You can see all their models in the ‘Your Pavilions’ page. They were all made from reclaimed materials that people would usually throw away like cardboard boxes and even estate agent signs. When it came to building their life-size version, the same materials were used, proving you really can make a Pavilion with anything! For Phil these projects not only benefit the kids, he believes he has learnt a lot too. “The more we learn and practice our trade as architects the more we are in danger of establishing working conventions and losing touch with the naive clear-sightedness and enquiring minds which we had as children. It is something which is very special and which we should work to hold on to.” We couldn’t agree with him more. Why not experiment to see what you can do. We were involved in this years summer project. A big thanks to Philip Wells .We really enjoyed his projects we really interesting .